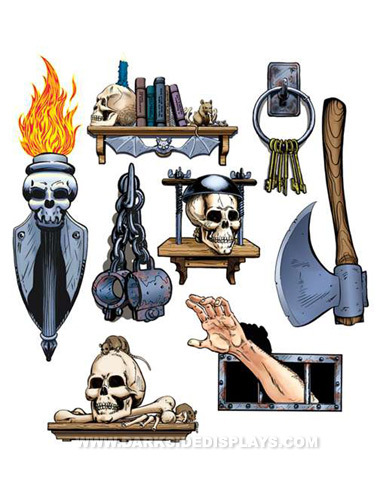 The variety pack of dungeon wall scene enhancers will compliment most any of our scene setter collection, but will look great on their own to. Set of 8 different life-sized images on one 72" x 36" plastic sheet with a transparent background. Images will need to be cut before use. Hang with your adhesive, or Sticky tape, sold separately.